You’re all getting new cars! Today at the Worldwide Headquarters of Manhattan Infidel™ I have the pleasure of interviewing a woman who has been in the news a lot lately. I am referring of course to Oprah Winfrey. MI: Good afternoon Miss Winfrey. OW:Good afternoon Manhattan Infidel. It is a pleasure to be here and address the rumors that are swirling around me. MI: You are of course referring to the rumors that you might run for President? OW:Yes. I have given it a lot of thought. I’m flattered and I am not entirely ruling it out. It is something I’m seriously considering. OW: If I were President I think I would be able to change the direction of America for the better with my compassionate policies. MI: What would your policies be? MI: A new car? That’s your policy? OW:Vote for me and get a………BRAND…..NEW….CAR! MI: Isn’t that technically bribery? OW: Um. No. It’s……socialism! Because I’m redistributing BRAND……..NEW…..CARS! OW: Yes. Um. Compassion for everybody and BRAND……NEW……CARS! MI: Yes. A brand new car. OW: [Pause] I don’t know. I guess I’ll have my producers take it out of the show budget. OW: What’s that your eating? MI: This? 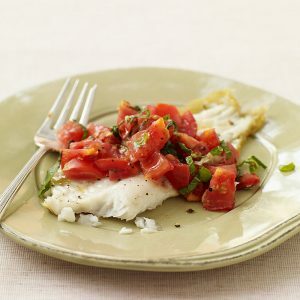 Oh it’s sauteed flounder with mint and tomatoes. Tastier than a new car! OW: [Licking lips] It looks delicious. MI: Oh trust me. It is. OW: You have other food. What is that? MI: This? 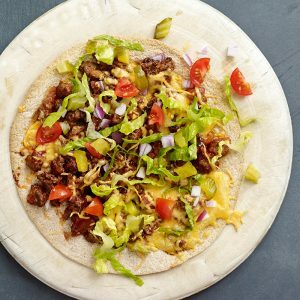 Oh it’s cheeseburger tortilla pizza. To hell with a brand new car I want to eat this! OW: Looks absolutely lip smacking good. MI: I get these recipes from Weight Watchers and they are all great. OW: Yes, yes I know. I’m a spokeswoman for them. 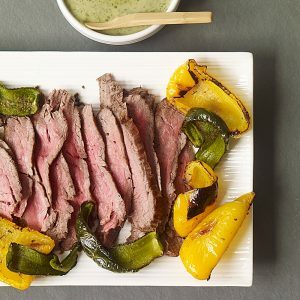 MI: After I finish this I intend to have broiled steak and peppers with easy spicy green sauce. MI: I wish I could offer you some but I only have enough for me. OW: I’ll give you a……….BRAND…….NEW……CAR! MI: Thanks but I live in Manhattan. I don’t own a car. The subways pretty much take me everywhere I want to go. OW: I’ll give you ………TWO…..BRAND…..NEW…..CARS! OW: [Pause] Just give me the f*cking food now! MI: What? No. I’m eating this! OW: It’s because I’m black isn’t it? You don’t want to share your food with a black person! MI: I told you this is my food! OW: F*ck you! F*ck you and give me that damn food! OW: Give me the f*cking food now! OW: Ouch! Mace! So this is what mace feels like. Usually I’m the one with the can of mace and I’m macing Stedman every time he tries to touch me! MI: I’m out of here. Bye. And so ended my interview with the woman who may be our next president. It could have been worse. I might have been interviewing Kelly Clarkson. 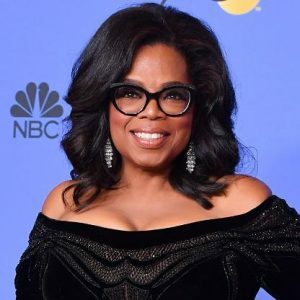 Imagine, Infidel, a 2020 Oprah/Michelle ticket. Some plans are made in paradise. That was pretty racist of you to DENY FOOD to the person of color.